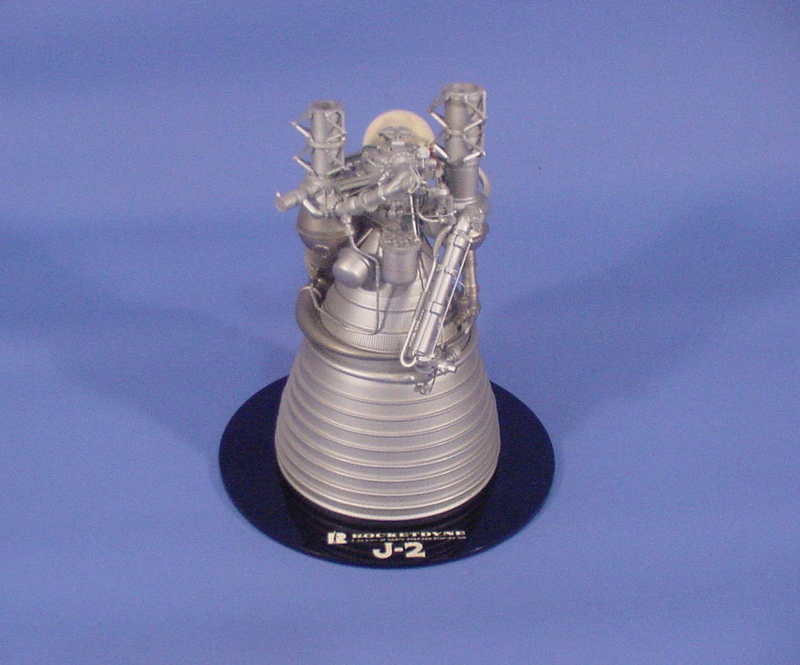 This is a high fidelity 1:8 scale model of the J-2 liquid fuel rocket engine. The J-2, using liquid hydrogen and liquid oxygen, was the powerplant for the second and third stages of the Saturn V launch vehicle that took astronauts to the Moon in the Apollo program. The J-2 produced a thrust of 200,000-230,000 pounds. The Saturn V's second (S-II) stage used a cluster of five J-2's for a combined thrust of 1,150,000 pounds while the third (S-IBB) stage was fitted with a single J-2 with restart capability. This object was donated to the Smithsonian in 1974 by Rocketdyne.